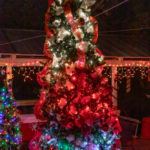 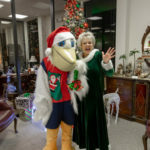 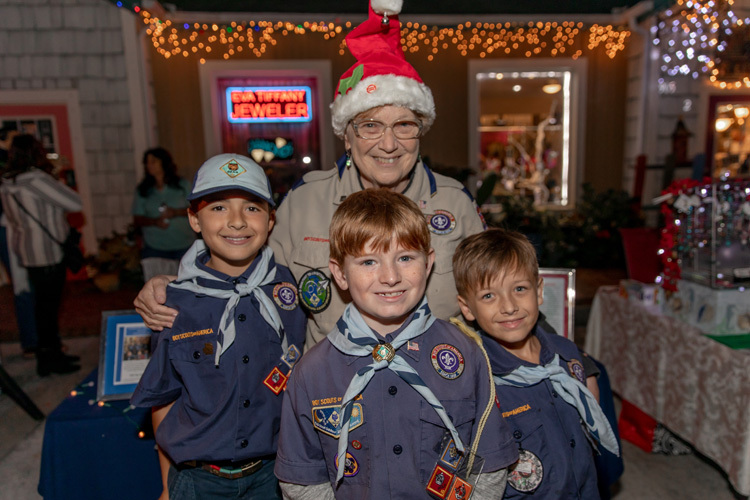 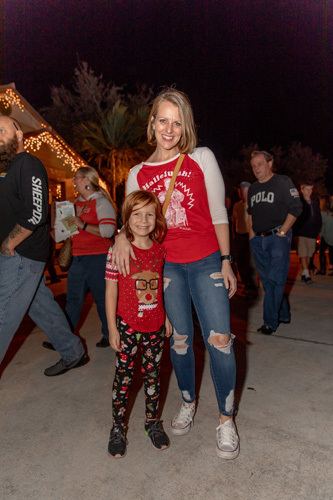 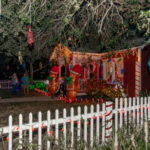 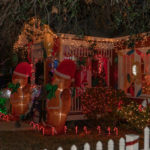 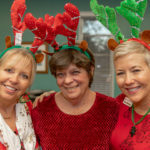 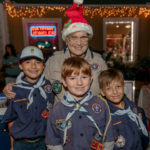 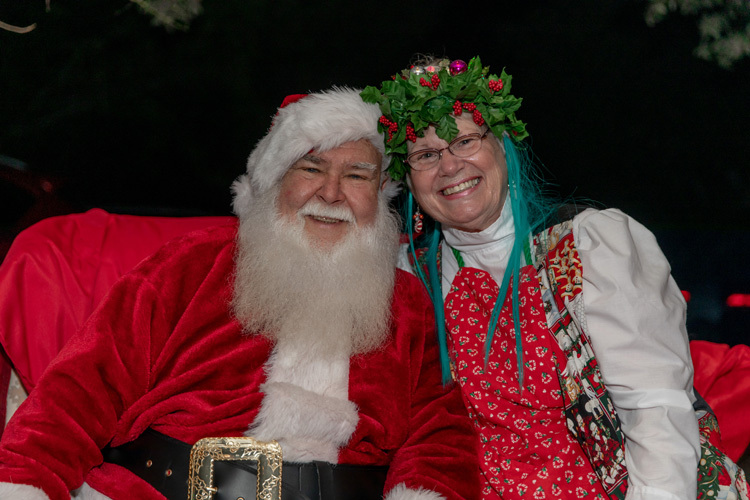 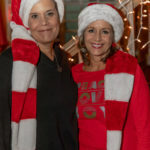 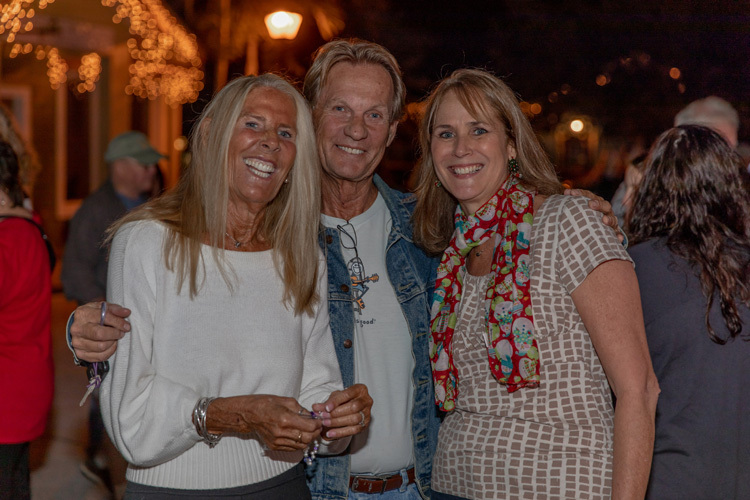 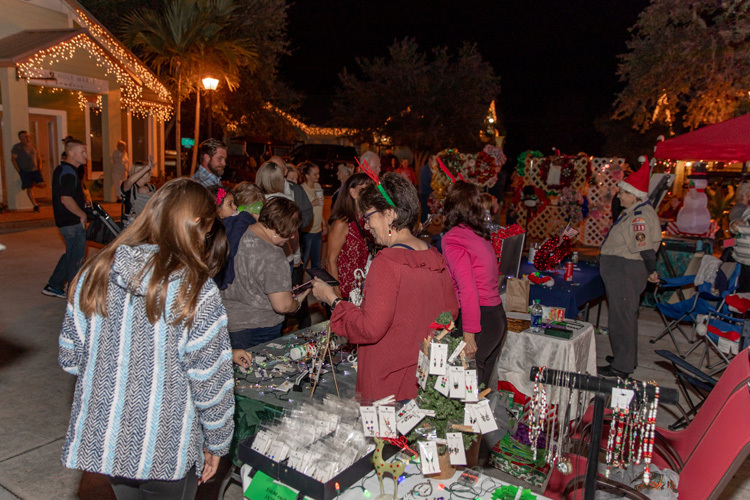 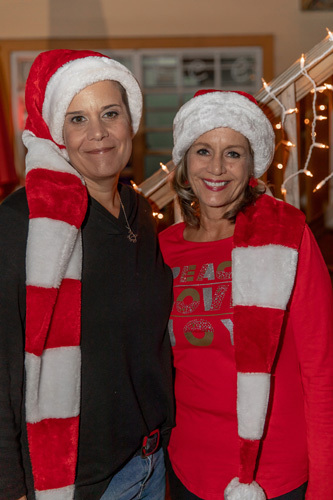 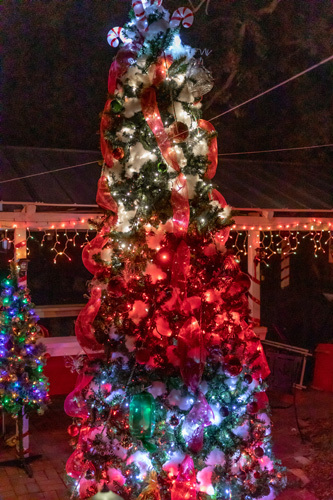 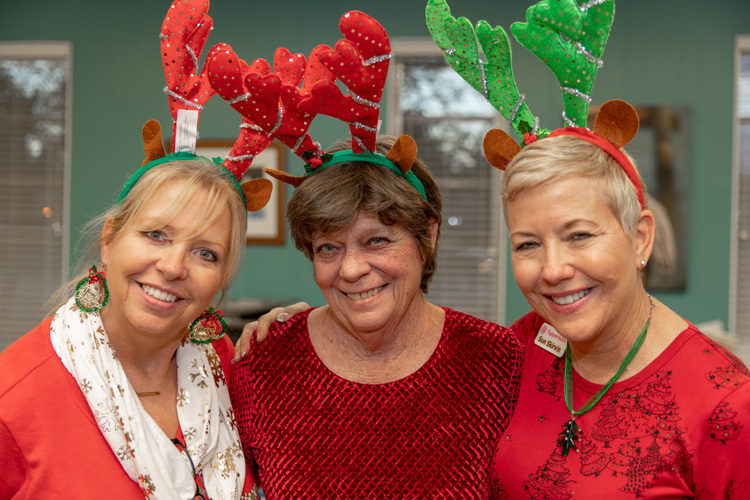 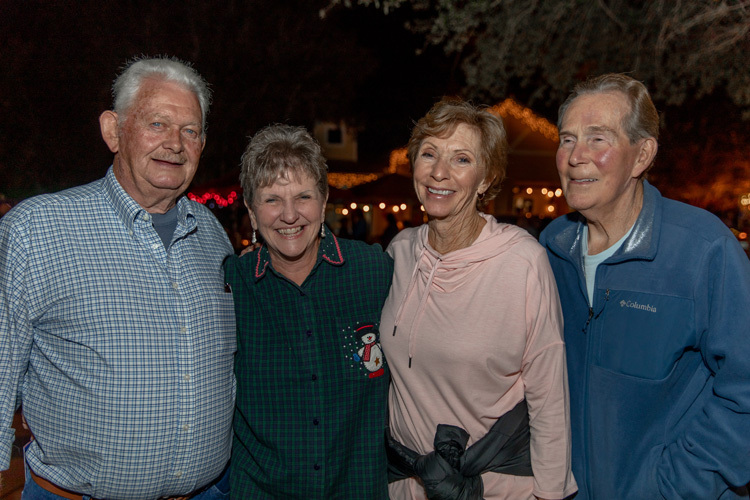 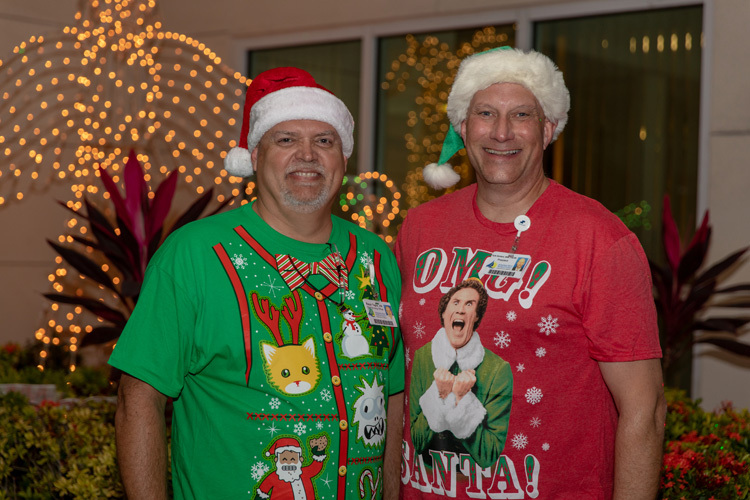 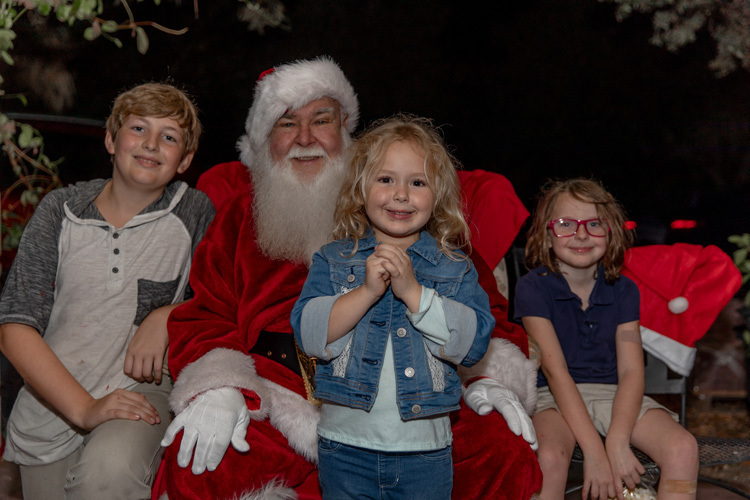 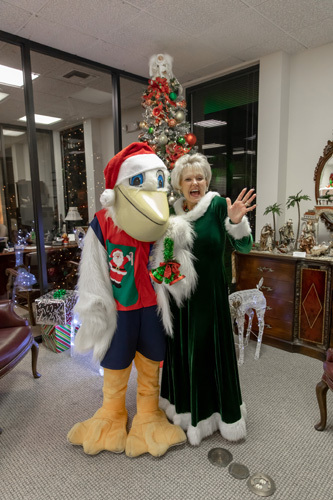 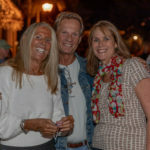 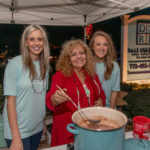 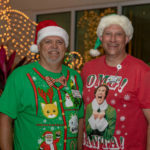 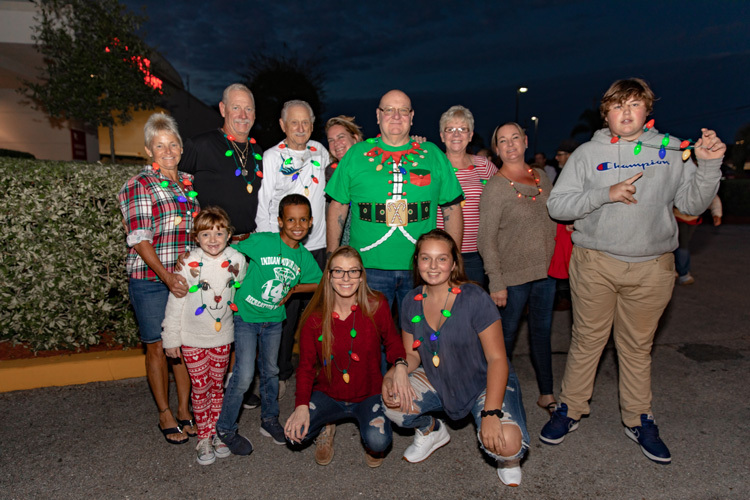 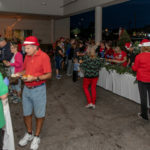 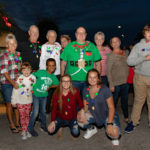 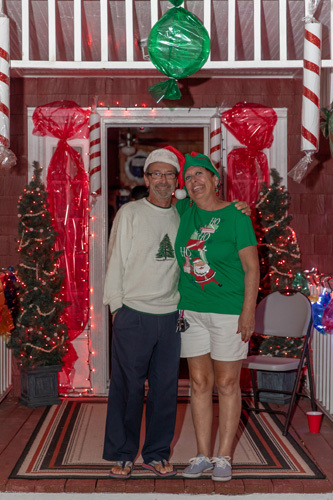 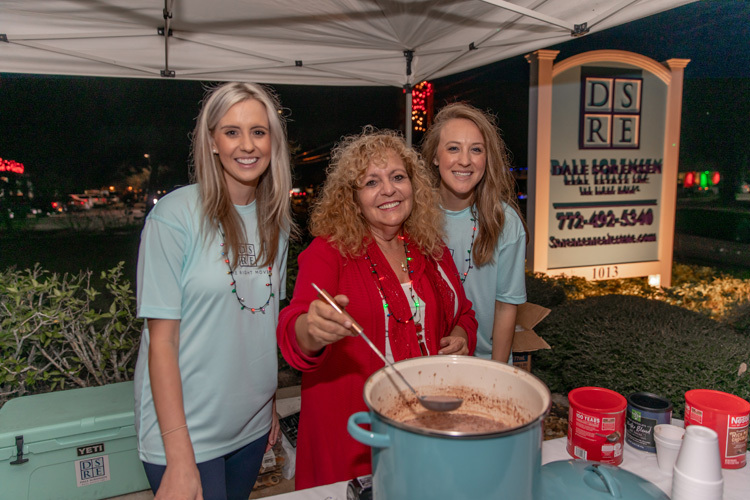 The streets of Sebastian were bursting with holiday spirit last Friday evening, as businesses stayed open late for the 30th annual Light Up Night, hosted by the Sebastian River Area Chamber of Commerce and its members. 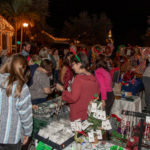 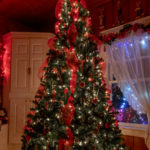 Thousands of happy shoppers enjoyed the beautiful evening, mingling at one business before moving on to another; a little like a jolly Christmas treasure hunt. 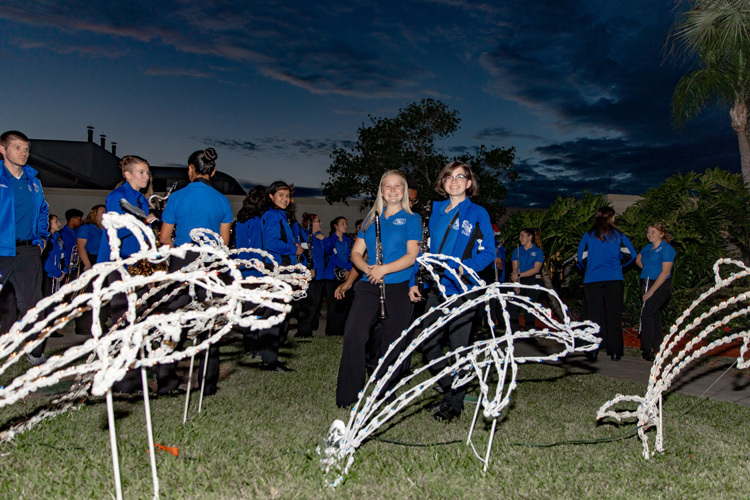 Patrons picked up maps at the chamber, where many also stopped to watch the sunset from the porch. 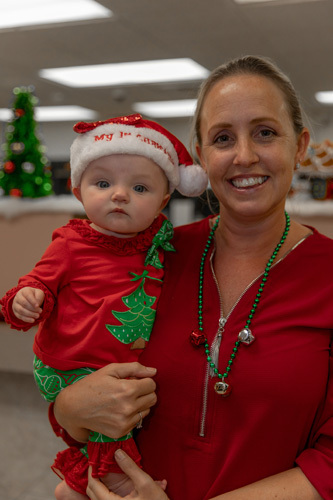 Others visited with Miracle, the Sebastian River Police Department’s mini-potbellied pig, who grunted with pleasure from the attention. 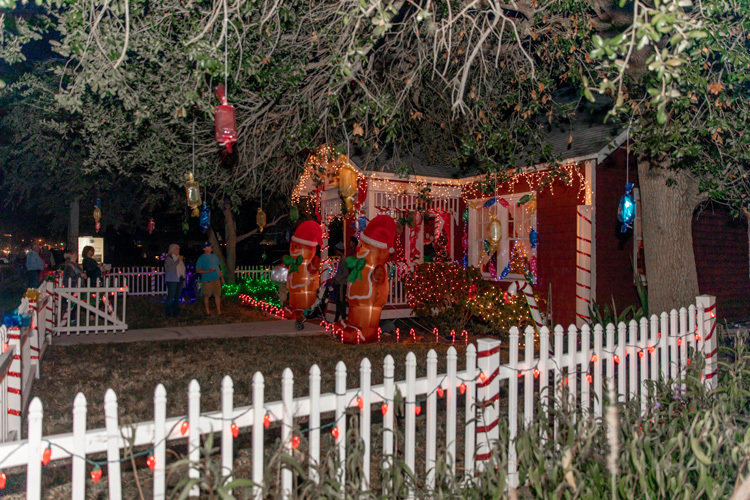 By foot and by car – no sleighs in sight – visitors followed the lights that lined the streets. 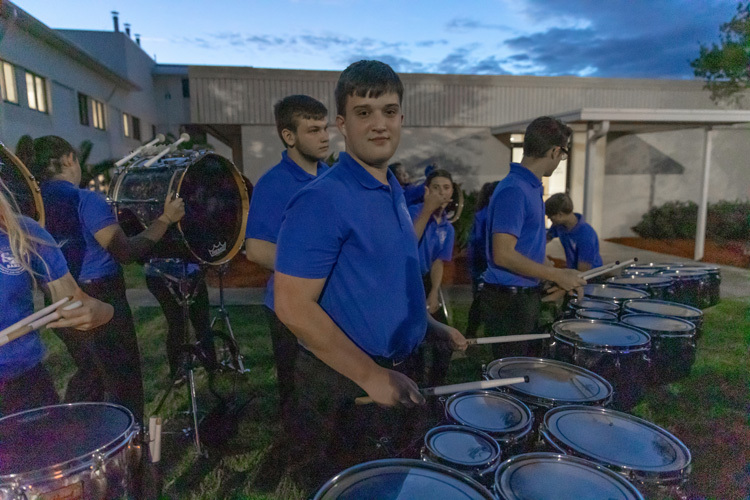 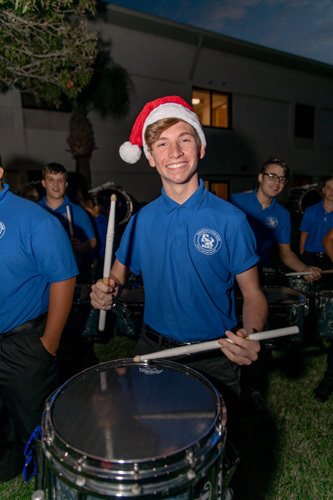 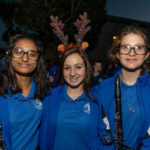 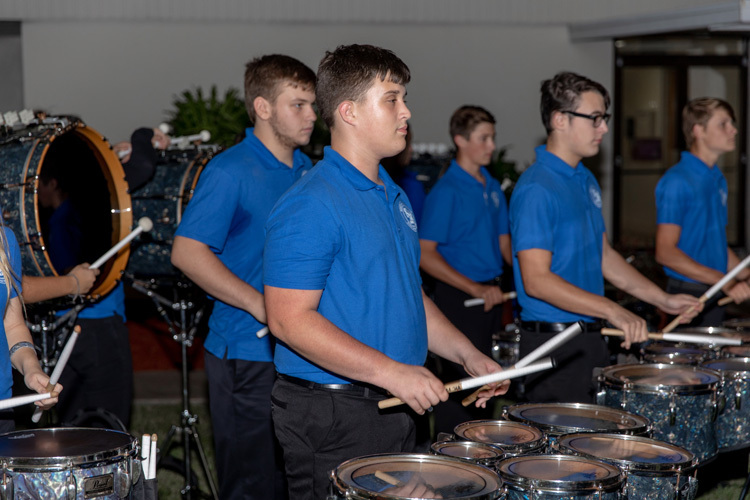 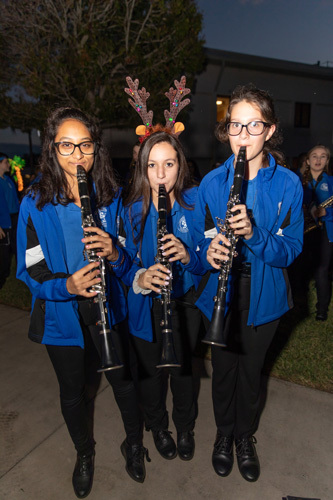 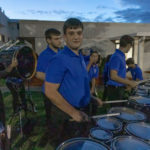 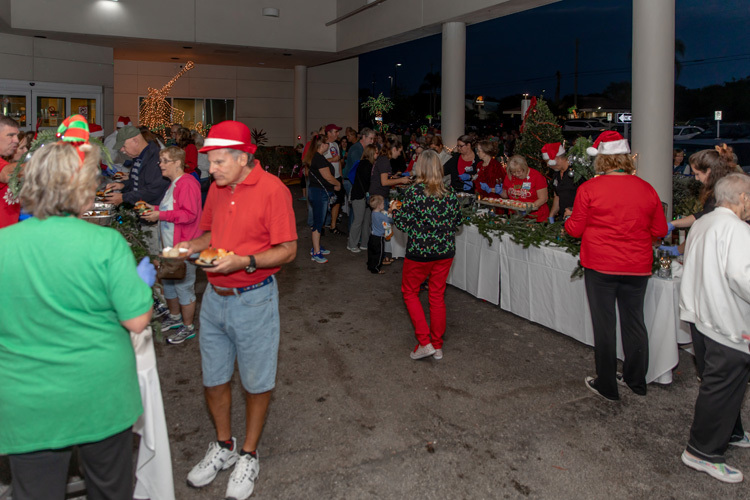 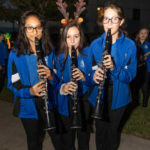 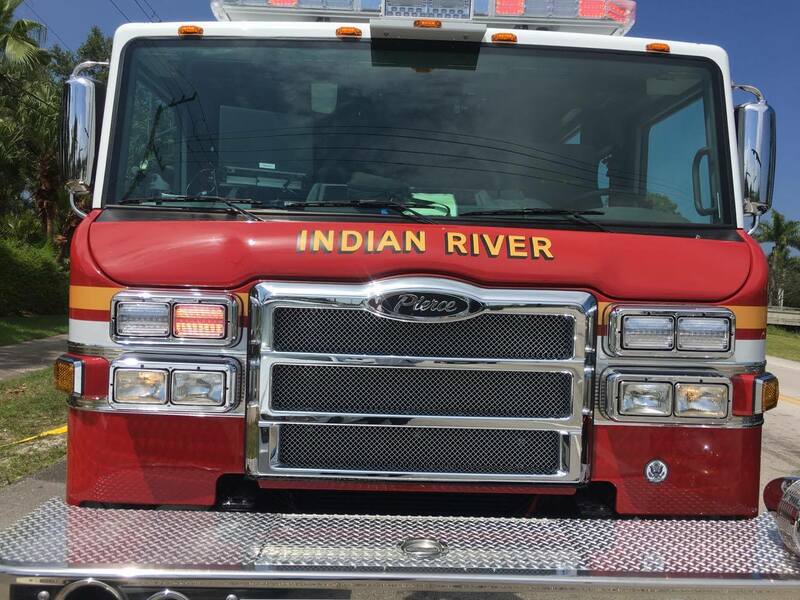 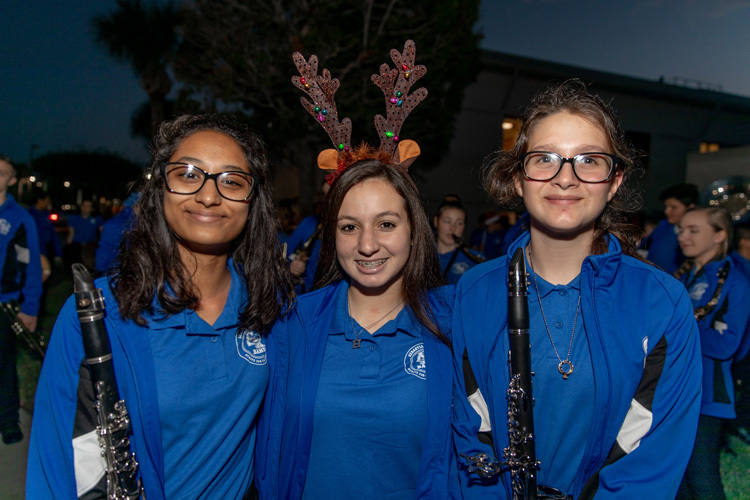 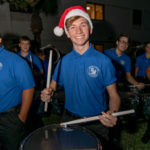 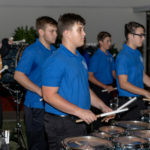 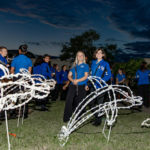 A large crowd amassed at the Sebastian River Medical Center, where visitors enjoyed a spread of delectable foods while listening to the Sebastian River High School Marching Sharks. 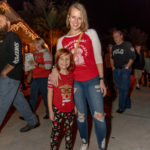 Shoppers hummed Christmas tunes as they traveled north and south, nibbling all the way on vast amounts of hot cocoa and cookies, and the over-21 crowd stopped in at Pareidolia Brewing Company for a cup of good cheer. 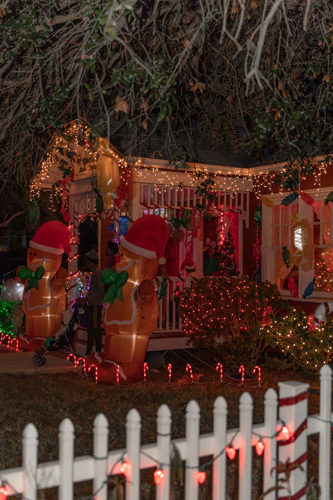 Giant gingerbread men stood guard over the GFWC Sebastian River Junior Woman’s Club, a beacon of brilliance with twinkling lights. 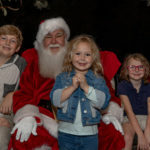 Good boys and girls visited with Santa, whispering Christmas wishes in his ear, before picking out a free book and settling in by the fire to snack on goodies. 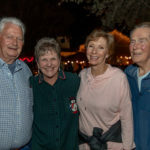 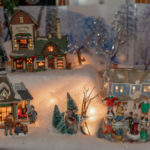 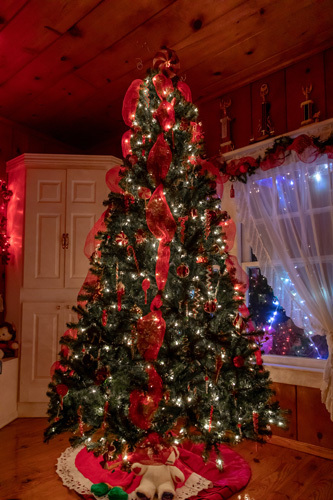 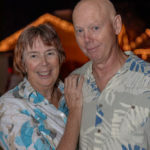 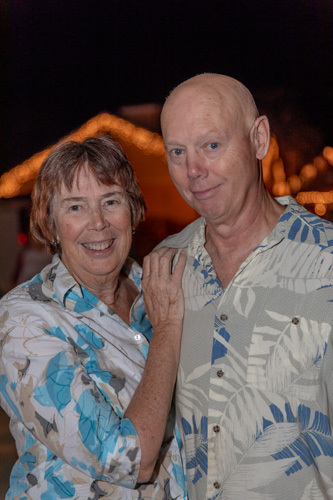 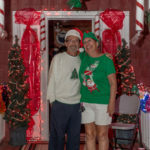 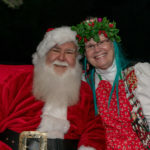 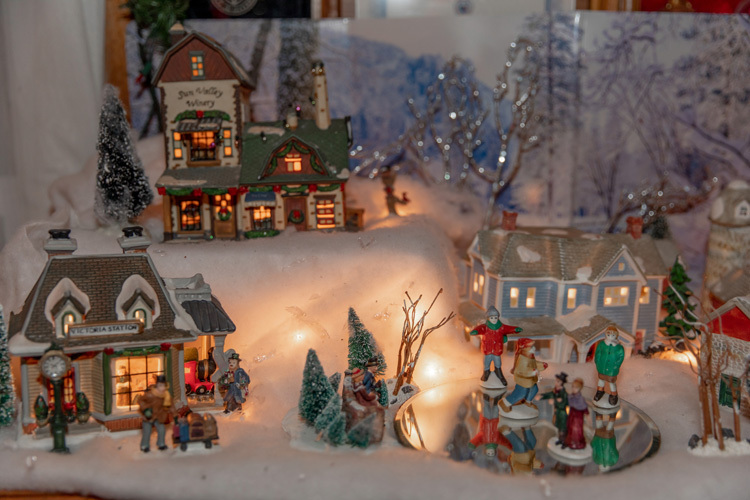 Other folks strolled through the Village Square, stopped for chili doled out by Mariner Pete at Marine Bank, visited with the Grinch at the Florida Eye Institute, watched movies at The Hair Tiki, and decked the halls with visits to the animals at LaPorte Farms off Roseland Road.